Hovingham Interiors was established by Denis Johnson in an old estate workshop at Hovingham Hall, North Yorkshire. 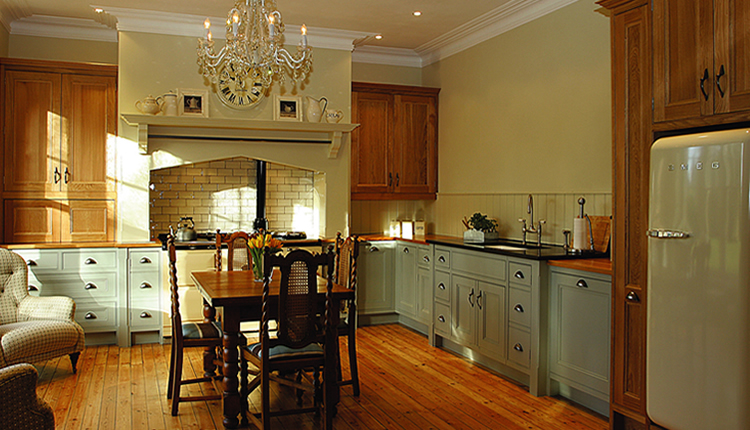 Now 40 years later, the handcrafted kitchens are produced in modern premises in Malton, North Yorkshire. Production still includes traditional manufacturing methods, but these are now complimented by modern CNC equipment. The majority of business comes from word of mouth recommendation and returning customers, which speaks volumes about the quality of design, service and handmade products. Hovingham Interiors recognise the importance of customer satisfaction. Our goal is the same as it was 40 years ago – to give clients many years enjoyment, from a kitchen that is built to last.